The therapeutic value of horse riding was known of as far back as the time of the ancient Greeks. During this period, horses are said to have been used to treat incurable illnesses, and the Grecian physician Hippocrates himself has written about this topic. The current practice of hippotherapy can be traced to Germany, Switzerland, and Austria in the 1960s, where it was utilized as a complement to traditional physical therapy. Come the 1980s, American and Canadian therapists visited Germany to learn the basics and essentials of hippotherapy; though hippotherapy itself wouldn’t be formalized in the United States until 1992. Drache has looked into the potential benefits of hippotherapy for patients with multiple sclerosis, a nervous system disease that affects the spinal cord and brain. As part of their study, Drache and her colleagues recruited 70 adults with this condition and randomly divided the participants into two groups. The control group received standard multiple sclerosis care, while the intervention group underwent 12 weeks of hippotherapy in addition to standard care. By the end of the study, the members of the intervention group reported that they felt improvements in their balance, motor function, spasticity, and fatigue, all of which are common symptoms of multiple sclerosis. People with cerebral palsy or language disorders have reported improvements after undergoing hippotherapy, as well. In the case of those with severe leg or arm weakness, they were noted as having experienced positive changes to their bladder and bowel function, muscle stiffness, and overall mood. Although helpful for those with neurological conditions, hippotherapy is not recommended for everyone. According to NeurologyCare.net, people with diabetes, heart disease, mild to moderate osteoporosis, and hip joint conditions should exercise extreme caution when in a hippotherapy session. Those with bone fractures, severe arthritis, spine instability, and herniated disks are advised against this type of therapy and should avoid it. Individuals who wish to develop their fine and gross motor skills have the most to gain from hippotherapy, as do those with emotional or mental issues. 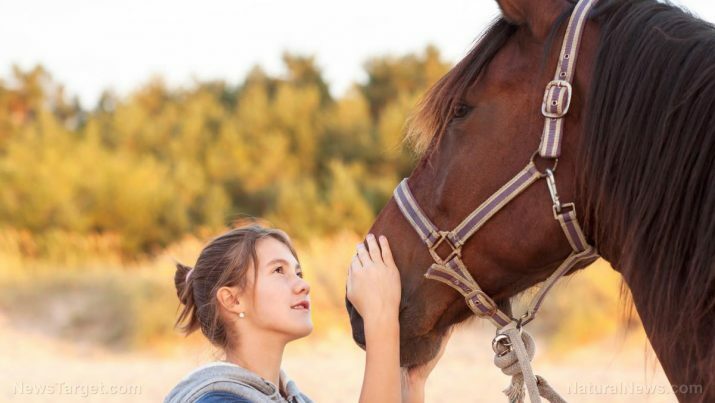 Apart from autism, cerebral palsy, and multiple sclerosis, horses have been used to help patients overcome their dependency on drugs and alcohol, and even post-traumatic stress syndrome (PTSD). Hippotherapy is a type of animal-assisted therapy wherein horses serve as a healing medium. Unlike regular horseback riding which seeks to improve one’s riding skills, hippotherapy aims to treat mental or physical conditions, as well as emotional problems. Patients with multiple sclerosis and cerebral palsy, autistic children, and even those with language disorders have been helped through hippotherapy. This type of therapy isn’t suitable for all people, however. The biggest risk comes from falling off the horse, so people with bone fractures, severe arthritis, spine instability, and herniated disks shouldn’t undergo hippotherapy.